It's the most important part that is the burner. The wax were covered not only inside but also outside, so, the first thing I have to do is to seperateall parts of them off. I need to examine the whole of the stove. As a result, much waxed surface meaned that the condition of this stove has been nearly out of order than I ever thought.. The woodpattern has gotten warped meaned that it would take much time to revive a vintage stove......, as matters stand, the work would proceed slowly but surely !! 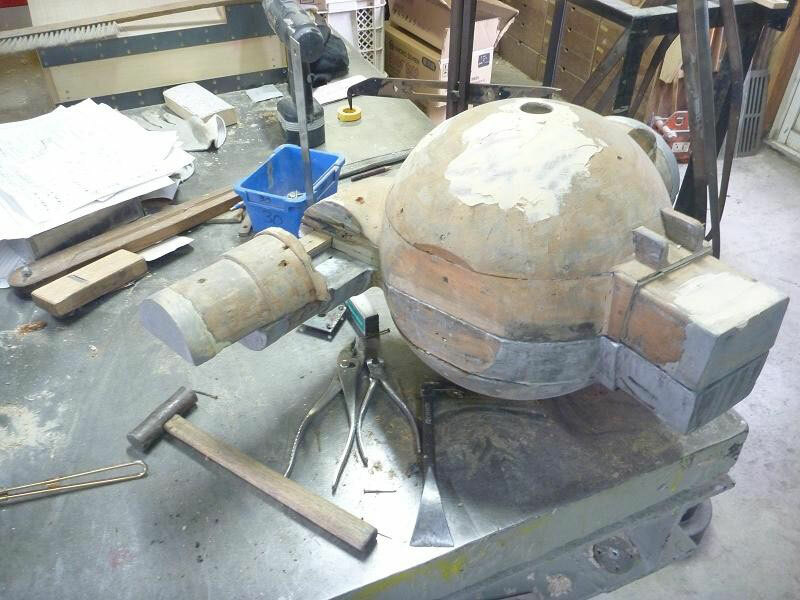 Every part except an octopus head's one has made in a foundry. 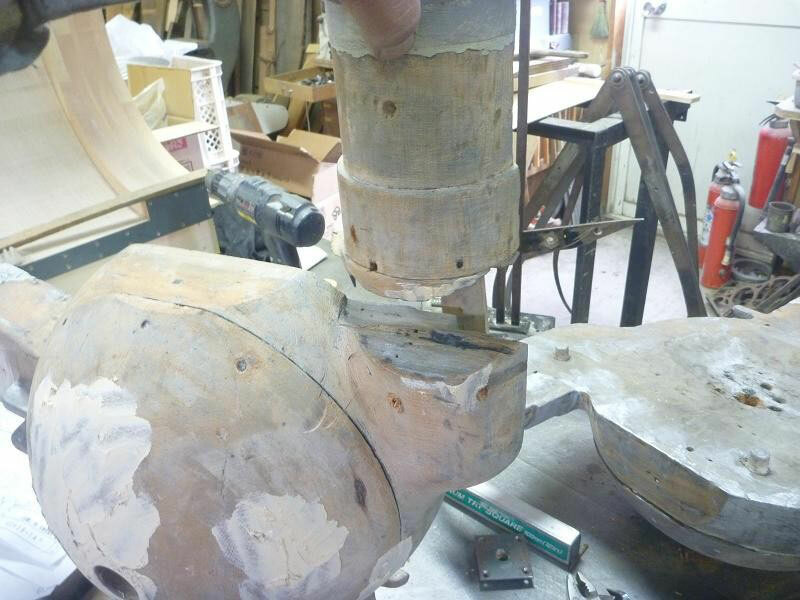 Now, talking of the reproduction of woodpattern for the octopus head, after scraping the old wax off, I should check through both of them for measurements warp. If I find the warp, I need to take them apart to pieces and again check on them to match up with both of them ! I　found the bottom of this stovepipe to have been broken. The part of them are in need of repair. I don't know whether it has been given way or grown old. Now is the time to show my ability ! 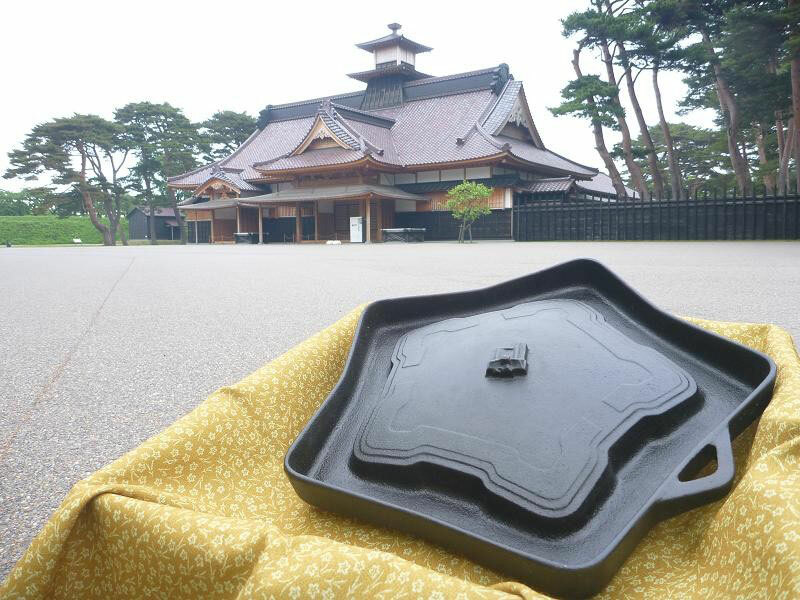 中子取り has been cast and made from the mold that is called 外型（SOTOGATA). 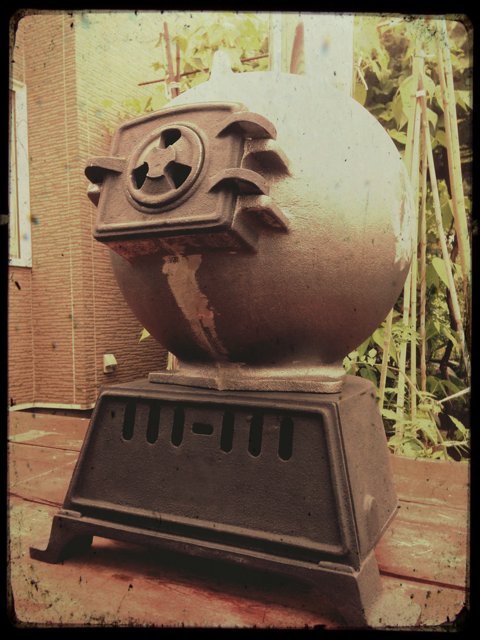 It may not be easy to imagine, but, TAKO STOVE is nearing completion ! 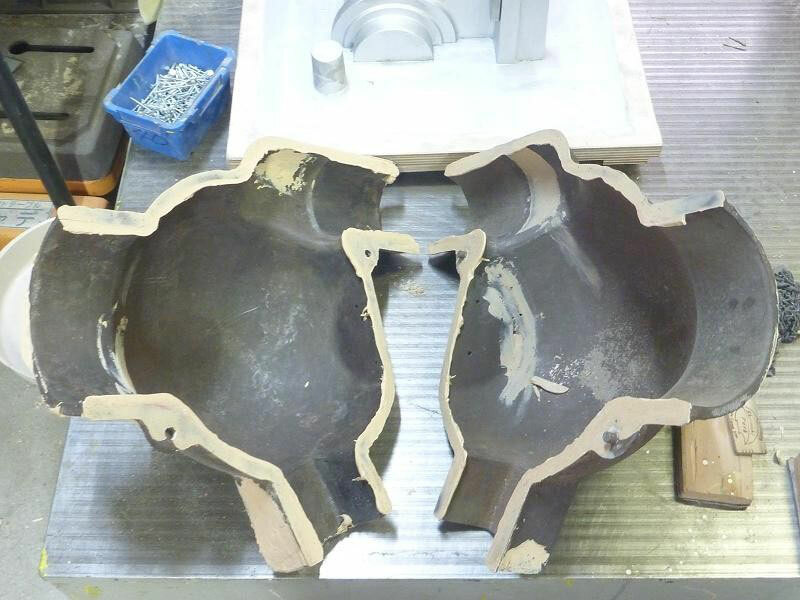 These are parts cast by a foundry. 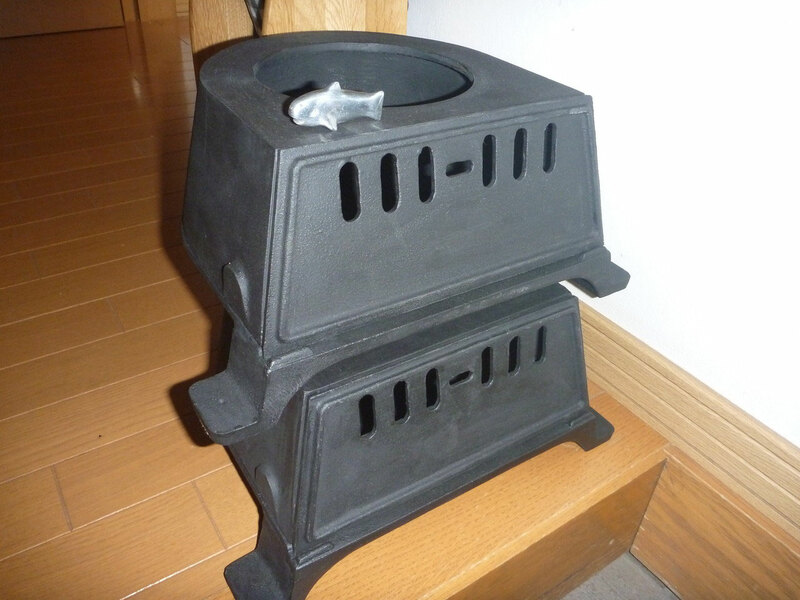 We have prodused two TAKO STOVEs first. I accurately reproduced the lower part of one. 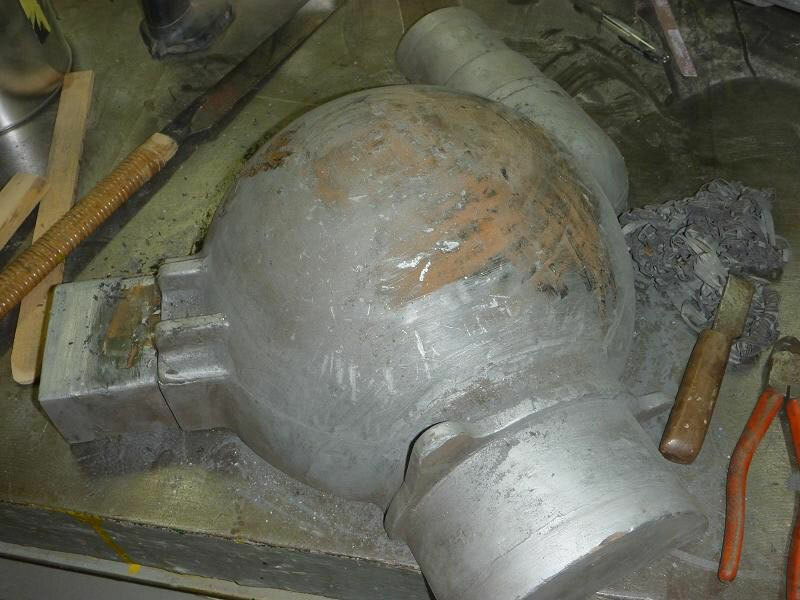 The upper part of one, that is the head of TAKO is nearing completion. The box for the cinders. 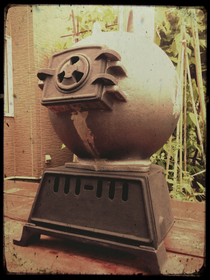 This TAKO STOVE is near completion ! 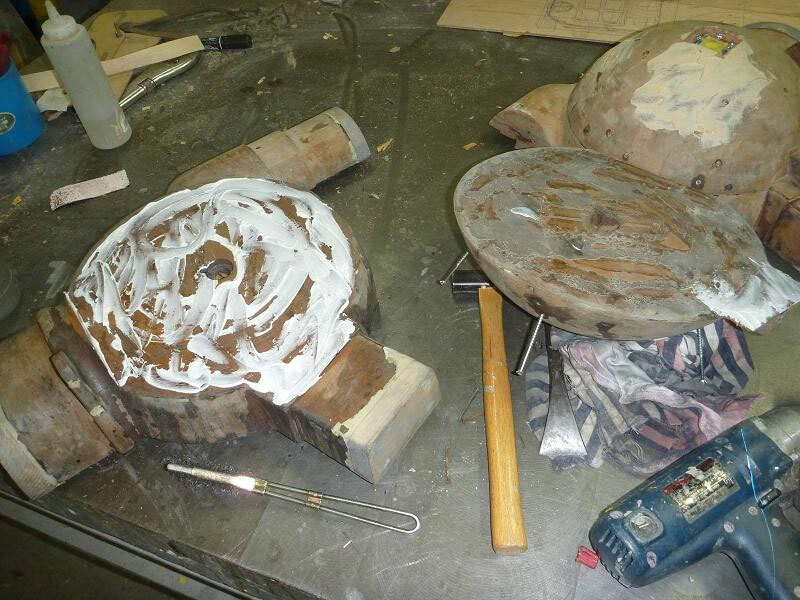 I covered the box for the cinders with heat-resistant paint. It looks very nice ! I'm going to start the head part of it. I took the head part apart to examine! I carefully took the head part apart not to break. I knew that NIKAWA had been used to adhere with each of them,but,it is important to adhere exactly. So, I scraped it off and glued again. We have to go on cleaning up. 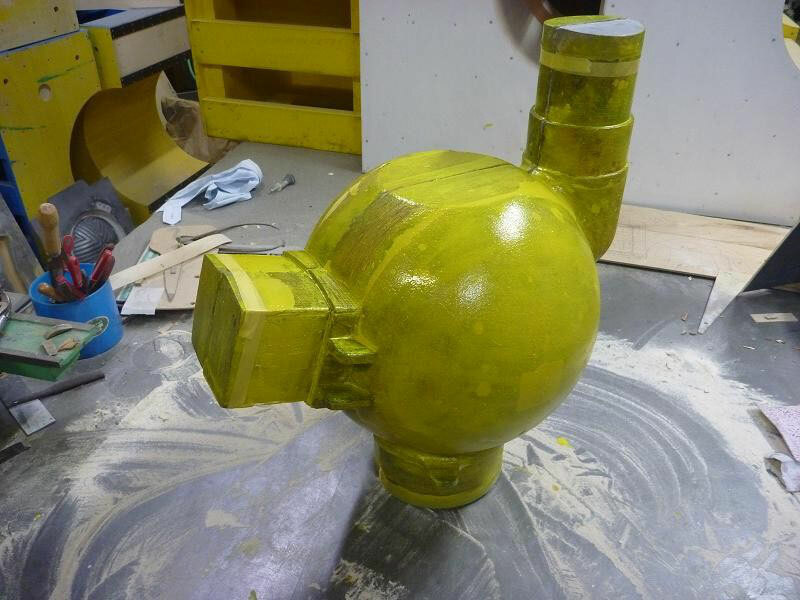 After coating the head of TAKO with much putty and becoming dry,we finish the sphere with sandpaper. This lasts about four times. There has been quite much wax on the surface of TAKO since the fifth project,and then,I also cleaned it up with scrub brush soaked with solvent(acetone) about four times. It's a temporary assembly still, but, How beautiful! !